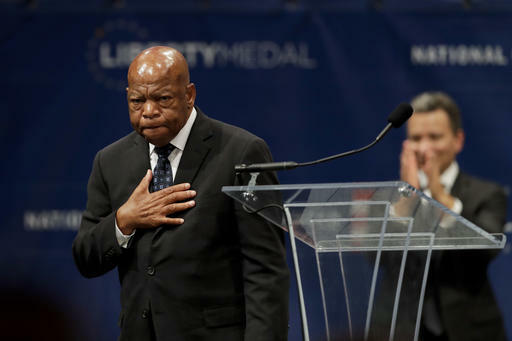 PHILADELPHIA (WPVI) -- He's known as a pioneer and civil rights icon, and Rep. John Lewis remains a giant of the movement. That's why the congressman was chosen as the recipient of the 2016 Liberty Medal, awarded to him on Monday night in Philadelphia. 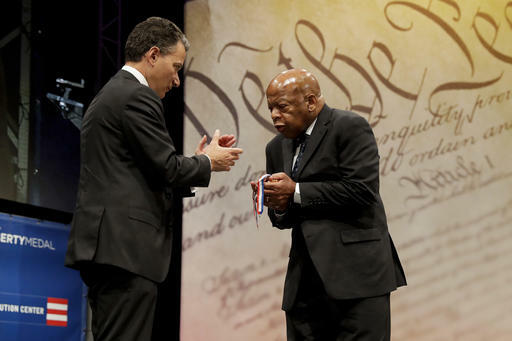 U.S. Rep. John Lewis of Georgia has been awarded the Philadelphia's Liberty Medal for his dedication to civil rights. His path to this distinct honor begins with his humble beginnings in rural Pike County, Alabama. Born in 1940, he was one of 10 children. He was the son of sharecroppers, and life revolved around church and the farm. "We all had our chores we had to perform, like, feeding the hogs or John's job was to feed the chickens," said his brothers, Freddie and Sam Lewis. 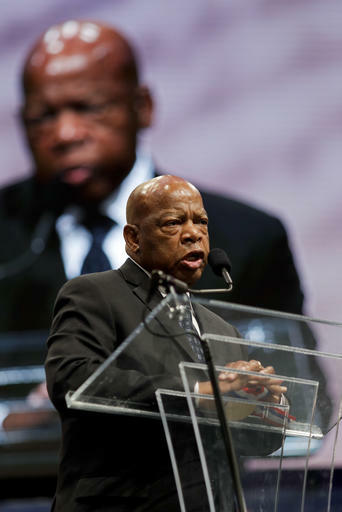 "His first nonviolent act was protesting his parents when they had one of his chickens for dinner," said Andrew Aydin, the Digital Director and Policy Advisor to Rep. Lewis. 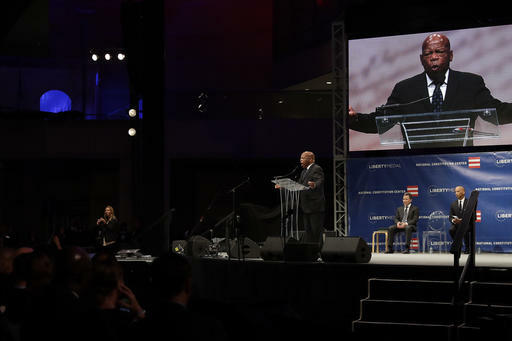 He's known as a pioneer and civil rights icon, and Rep. John Lewis remains a giant of the movement. As a young boy, he decided he wanted more than the work in fields. 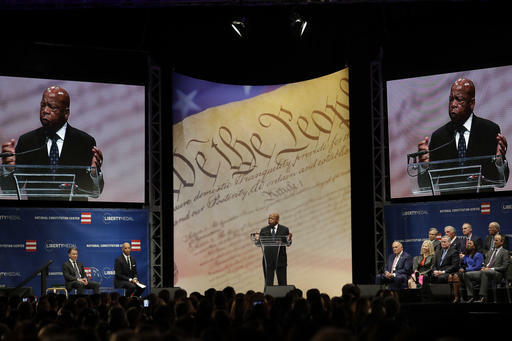 With the Civil Rights movement unfolding, the young John Lewis was inspired. At age 16, he conducted his first formal protest at the whites-only public library in Troy. The following year, Lewis wrote Dr. Martin Luther King a letter, and Dr. King wrote him back. He embraced the philosophy of a non-violent movement for change. "It showed him that being arrested for the right thing, it wasn't the end of your life," said Aydin. He would later share the stage with Dr. King for the March on Washington: a march for jobs and freedom. "We don't want our freedom gradually. We want it now," Lewis said during his speech. The following year the Civil Rights Act was signed into law, ending discrimination in schools, work and public facilities. 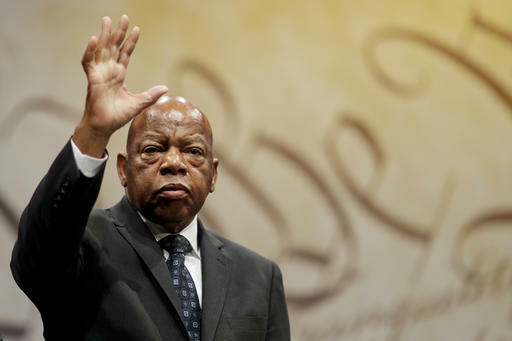 John Lewis would help organize a march from Selma, Alabama to Montgomery to demand the right to vote. The march mobilized tens of thousands to travel to Selma to show the world it was time for change in the United States. It motivated Congress to pass the Voter Rights Act of 1965. "The Civil Rights movement didn't just help black people. 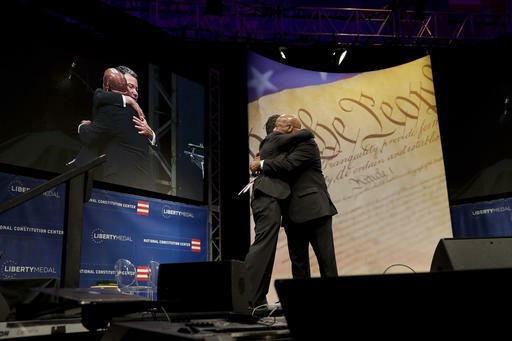 It helped America reclaim its legacy of democracy," said author Michael Eric Dyson. 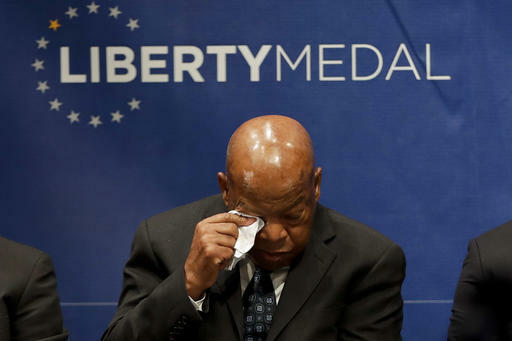 Freedom isn't free and John Robert Lewis has undoubtedly paid the price...to pave a way for others.